Founded in 1920 with eight charter members, Christian Schools International (CSI) is focused on serving hundreds of Christian schools in North America and beyond. CSI offers programs in the areas of accreditation and school improvement, curriculum, employee benefit services, leadership development, and support for school leaders. Amongst its offerings to the Christian school marketplace, CSI has an illustrious history of developing and distributing highly respected Bible curriculum. 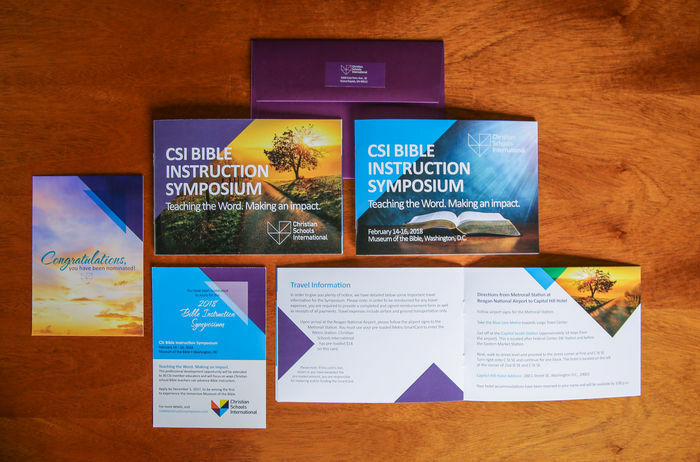 In support of this, CSI developed the inaugural Bible Instruction Symposium in 2018 to enhance how CSI supports its member schools in Bible education. Hosted at the Museum of the Bible, this exclusive event focuses on ways Christian school teachers can advance and improve Bible instruction for their students by examining how curriculum is implemented specific to each grade level. In partnership with CSI, ddm developed a comprehensive awareness campaign promoting applications to the inaugural Bible Instruction Symposium by positioning the opportunity for administrators to nominate educators to apply. Within a 30-day window, ddm designed a mix of digital and traditional resources to promote the event and capture nominations from worldwide educators to attend this exclusive professional development opportunity. CSI successfully recruited a pool of over 80 applicants, achieved full enrollment at the Symposium, and plans to repeat the event annually.